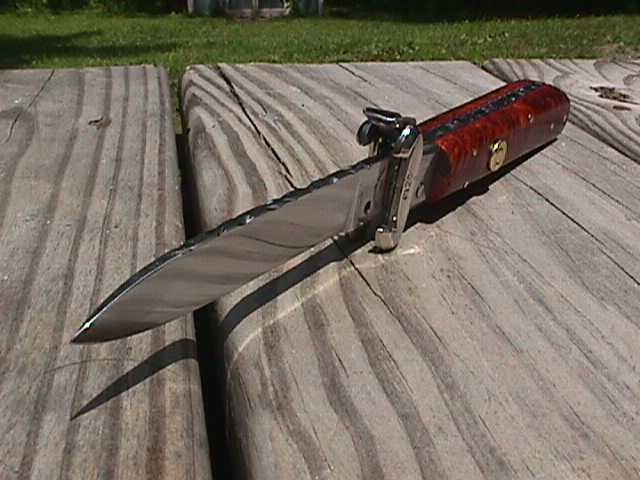 Hermit River Knives, Italian Stiletto, shell pullers, fish. 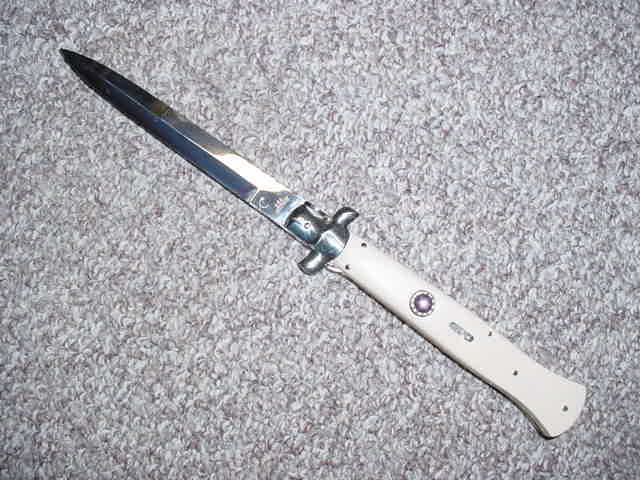 Welcome to my Switchblade page 1. 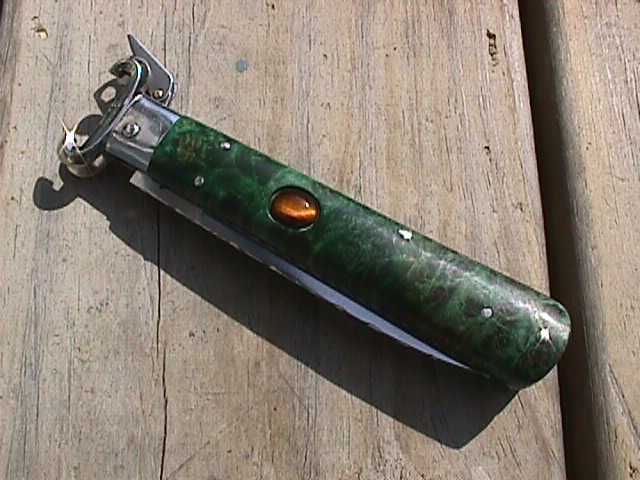 I will be updating these pages shortly but this is a small sampling of some Italian knives I have worked on in the past. 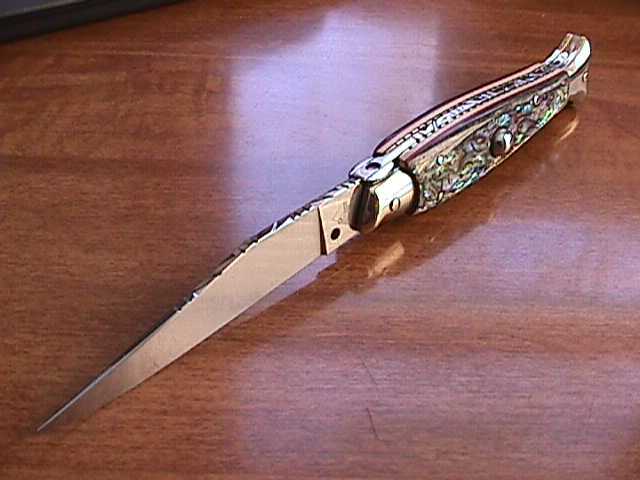 These are called "fish" and the base knife is made by Angelo of AKC. 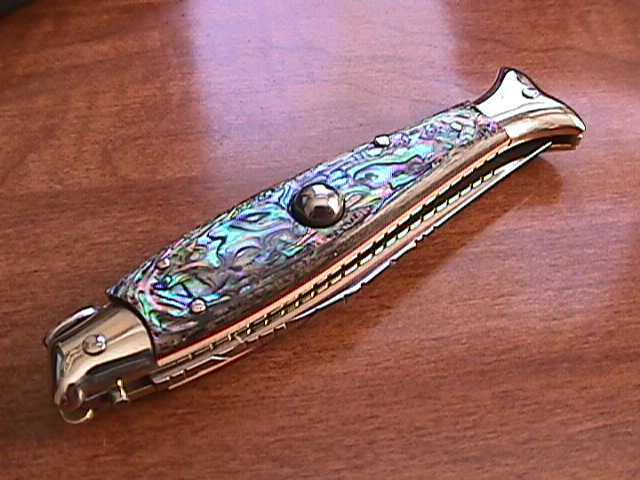 This one is scaled in paua, an abalone from New Zealand. 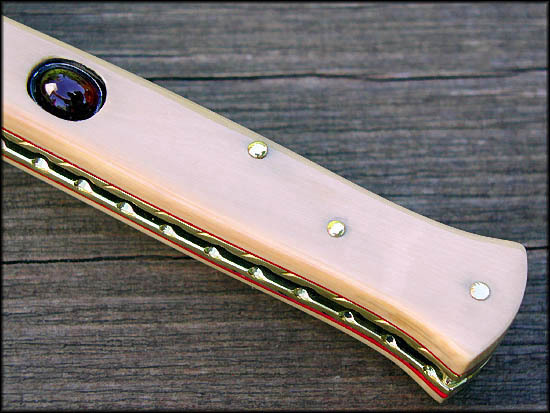 Very pretty knives, a joy to handle and well made. Paua is an abalone found only in New Zealand. Pictures do not do justice the beauty and depth of this material. 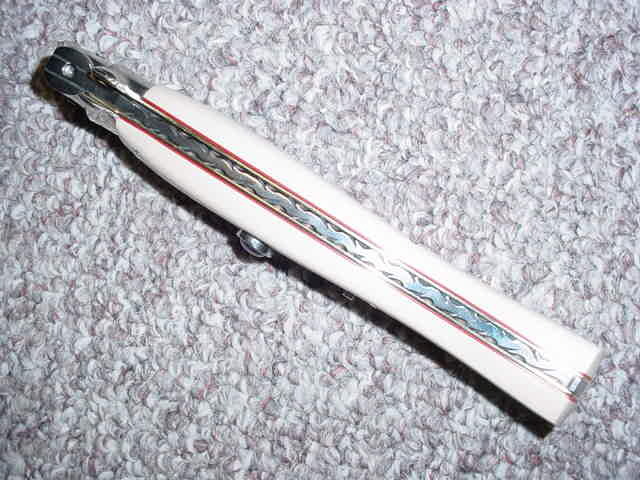 You can see the extensive filework patterns on the top view of the blade, spine and liners. 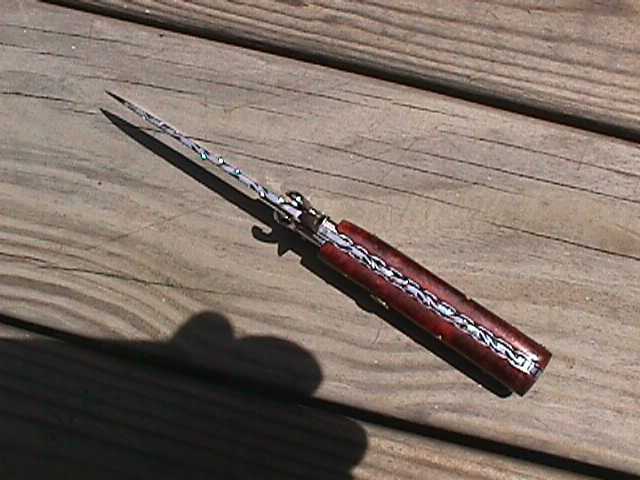 The These are purported "old stock" shotgun shell puller knives, found in Managio Italy and I used them all up. 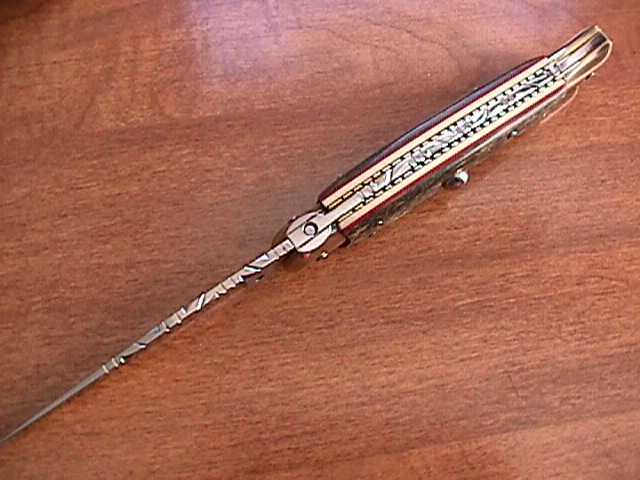 They are cool knives, fulcrum release mechanism. There are 2 different ones pictured, both scaled in stabilized box elder burl. One has a 30 carbine base for a button and one has a tiger eye cabachon. 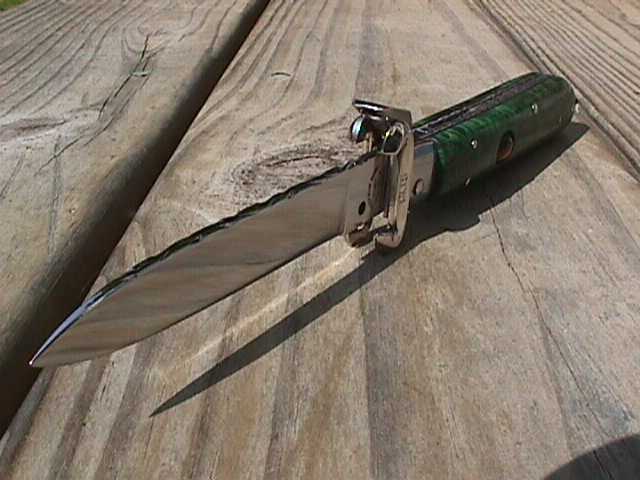 This is another AKC based knife a customer asked me to "dress up". 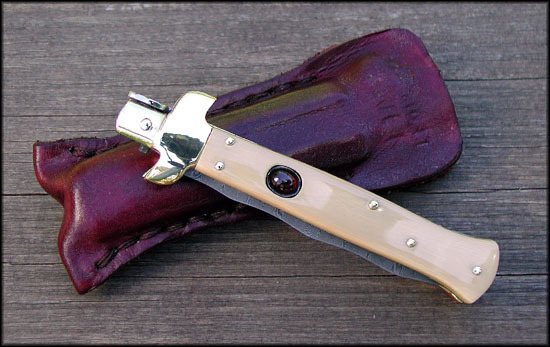 It is a 15" stiletto, scaled in ivory micarta which I happen to like alot. 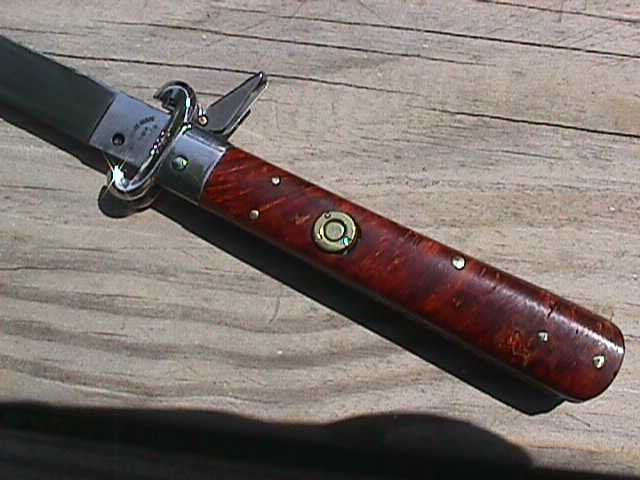 It's a strong material, looks very nice on a knife and impervious to about anything. 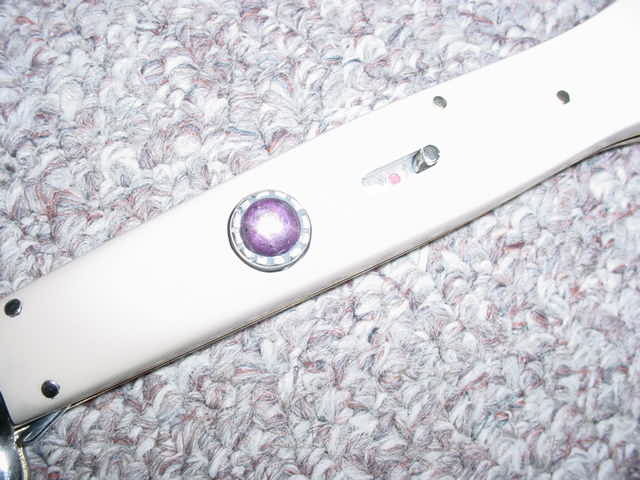 The button is a star saphire, set in a nickle silver bezel I made and filed. 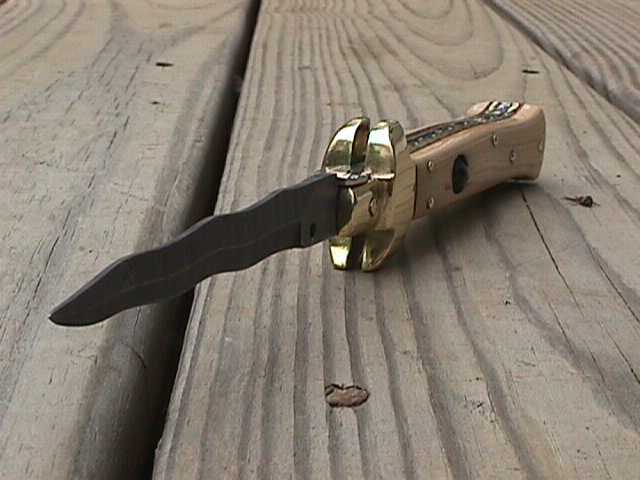 I make my own safeties that slide back and forth, lock securely and will never fail or loosen. In the rear position the red dot shows "fire", when forward the button is blocked from being depressed. 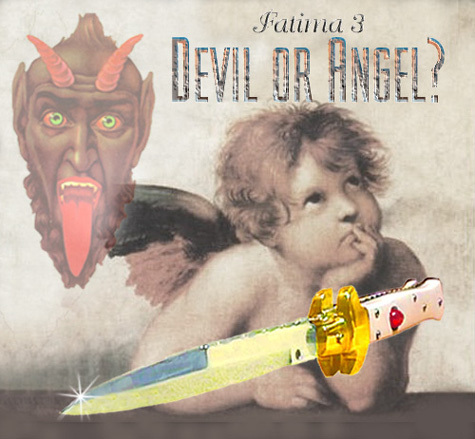 The filepattern is "thorn or vine" and has red spacers for effect. 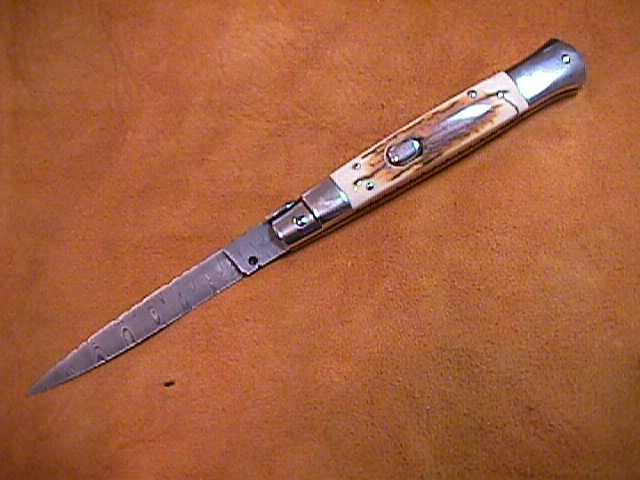 This is a flat ground damscus blade stiletto with a different style bolster. 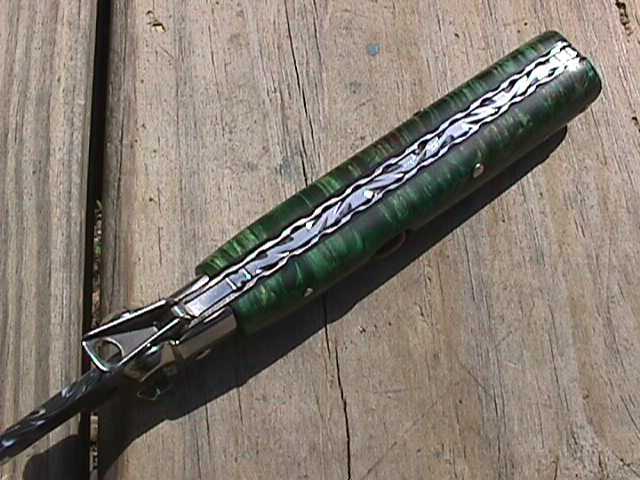 All bolsters and the button are carved out of solid nickle silver. 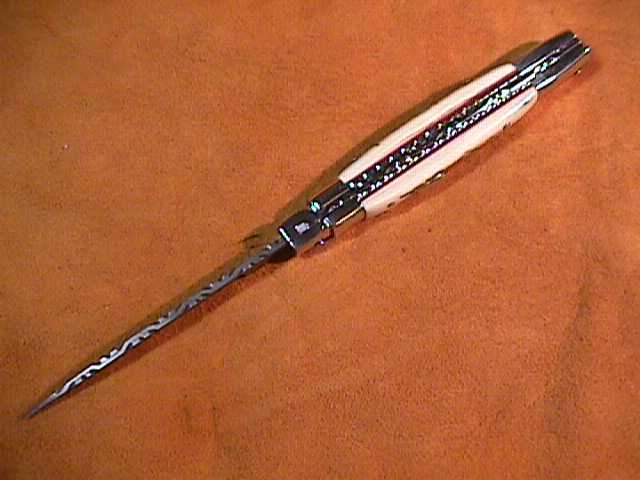 The rear bolsters are longer than normal for an Italian stiletto and the front bolsters have no ears. 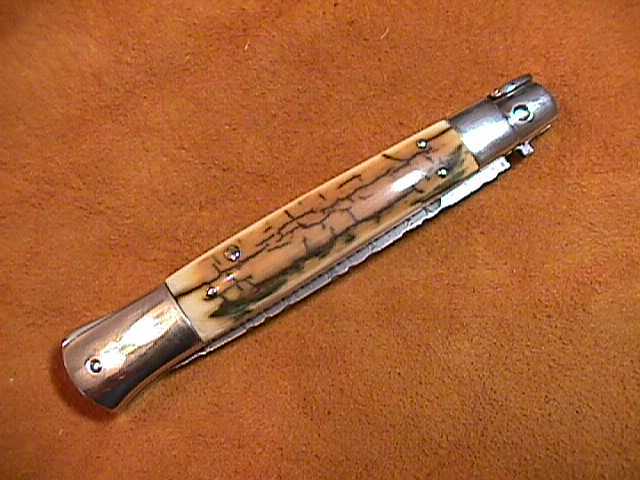 Makes for a slick, business like sticker look.The scales are giraffe bone, the outer bark layer which is prettiest.